Are you looking for a job in the film industry? How about working for one of the biggest news networks in the world? Fox News is now hiring filmmakers, production assistants, and producers. 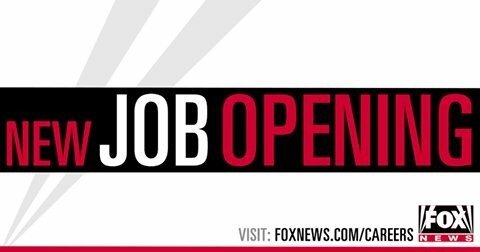 Fox News is currently hiring people to work in the College Associate program in Atlanta, Chicago and New York. In addition, Fox News is hiring producers, web producers and production assistants to work on their 24/7 news reports. Here’s some of the biggest and best Fox News jobs for aspiring filmmakers. Candidate must have 2-3 years’ experience in non-linear editing with Final Cut Pro or Adobe Premiere, as well as experience in photography/videography. Candidate must be able to provide a reel of original content and demonstrate creative producer qualities. Candidate must be able to turn raw video into news packages and create highlight packages very quickly in a live environment. Moving fast in Final Cut or Adobe Premiere should be second nature. FOX News Channel is seeking a Graphic Designer/Video Editor for the New Media department. The position’s responsibilities will include creating graphics and editing photos and videos for social media platforms. Candidates must be able to work flexible hours, including nights and weekends to cover breaking news, political events, etc. A successful candidate will be highly creative, visual, and be able to generate ideas in a fast-paced and deadline oriented breaking news environment. Candidates must have a working knowledge of current events, politics and all major social media platforms as well as strong copy editing skills. Candidates must possess a flexible “can-do” attitude and enjoy working and collaborating with a team. Advanced skills in Adobe Photoshop and Premiere required. Fox News is seeking a Social Media producer with 3-5 years experience. This position requires proficiency on Facebook, Twitter, Instagram, etc. as well as comprehensive understanding of the social media landscape. Strong writing skills and the ability to proof one’s own copy is a must. A successful candidate will possess extensive knowledge of news and current events, entertainment, and politics. Experience with live television production and breaking news is a plus. The candidate must possess the ability to work in a fast-paced, high-pressure environment and be able to make decisions on the fly. Great communications skills and being a team player are vital. Evening and weekend work may be required. Fox News Channel is looking for a Photographer with proven news skills and a minimum of 5 years professional experience in the field. Candidate should have strong lighting skills, experience with long format shoots, as well as the flexibility and speed to work in a high stress breaking news environment. As a service desk to both Fox News Channel, Fox Business Network and dotcom entities, the Media Desk is looking to hire a Production Assistant. A candidate for this entry-level position should have a desire to understand the workings of both the technical aspects of digital media and the editorial judgment in a TV newsroom. Good communication skills and a positive attitude are a must.